The guys at Litecraft HQ were in a frenzy this week with the news that our Ellen Outdoor Fisherman’s Style Wall Light was back in stock, we love this piece and it’s bang on trend this season too for nautical, industrial and country styles too. 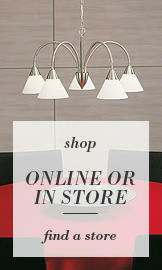 Fisherman style lighting is becoming a favourite for interior lovers at the moment especially nautical fans. Taking inspiration from the original style lanterns that you would find in a fishing yard, this piece has been updated and now boasts a classic round acrylic shade encased in a black metal framed cage. 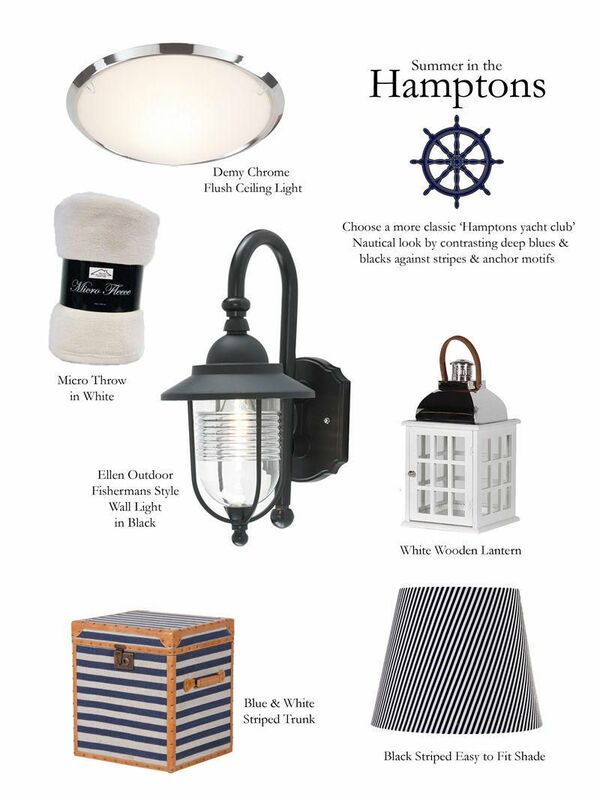 For a more classic nautical look we’ve teamed our fisherman lantern with fresh whites and bold black and navy accessories for a more ‘Hampton’s Long Island’ look. 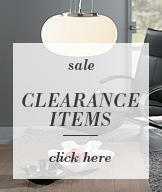 Think classic pieces such as lanterns against striped fabrics and anchor motifs. 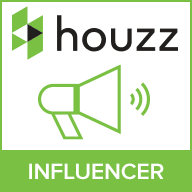 This look is a lot smarter and more unified so choose chrome finishes instead of rustic wood. For smaller spaces opt for Flush round ceiling fittings that resemble a ships porthole such as our Demy Chrome Flush Ceiling Light. Another best selling line that has just arrived back in stock this week is our Rattan Easy to Fit Rope Ceiling Shade. We love this little piece of creativity and it’s arrived just in time for this week’s Nautical theme. Featuring a spherical design of weaved rope in a white finish, the pendant is non-electric which means it will simply attach to your existing bulb fitting. This fitting is perfect when incorporated into a nautical look, whether teamed with blue hues or sun-kissed accessories this fitting will compliment with its natural design and neutral colouring. 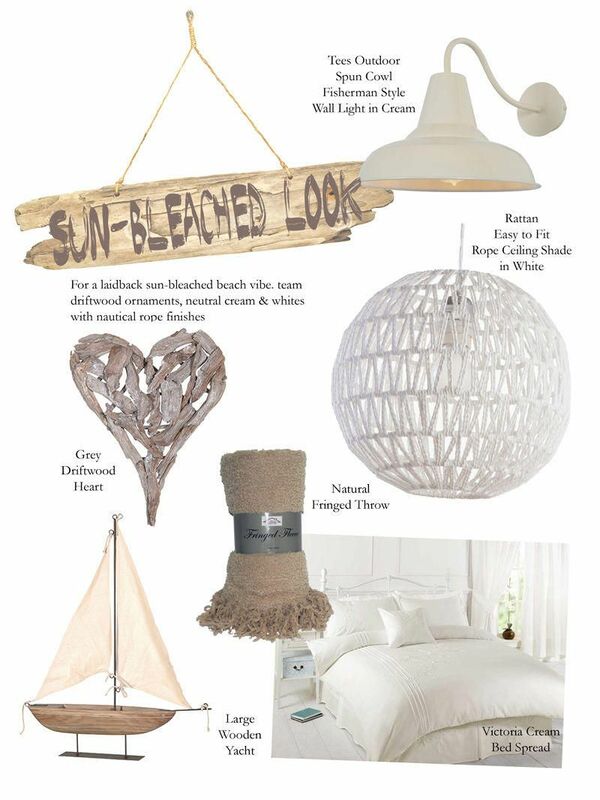 Check out our sun-bleached style using our Rattan Rope pendant as the starting point, to get this look think about what you’ll find at the beach, pebbles, sand and driftwood accessories and finishes should be included. You don’t want your look to be too themed so try to keep to just one or two nautical ornaments, it’s all about creating a laid-back natural feel. Weathered wood is a must so the next time you’re at the beach keep your eye out for a plank or two, display on a coffee table or if you’re a creative soul you can carve the wood into a piece of art such as a photo-frame. Compliment the white tones of the Rattan Rope Pendant by introducing white tones in your accessories and to also break up the blocks of neutral tone. Hang a display of white framed beachy photos on an accent wall against a sandy toned wall and team with white washed or crackle glossed second hand furniture to add more white pieces. Which Nautical look would you go for?